Established in 2000 and based in Aberdeen, the majority of the work that we do is related to offshore production platforms and downstream processing, pipeline and storage facilities. As a result our personnel are experienced in all of these areas and know the issues with offshore working such as hazardous area classifications and the processes and procedures involved. They are also familiar with offshore operating methods and procedures, enabling us to provide complete offshore installation and commissioning services. Our Engineering department has significant PLC/SCADA/DCS experience, covering both onshore and offshore. In addition we can provide AutoCAD services, parts sourcing and procurement services, alongside panel building and electronic assembly. 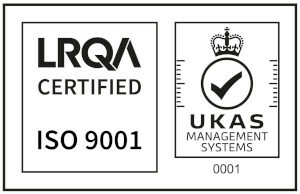 We are ISO 9001:2015 approved for all our processes (click here for certificate), and are fully registered within FPAL. At our combined office and workshop facilities in East Tullos, Aberdeen we have a 3,500sqft warehouse/staging area, with a further 2,300sqft split between workshop offices, light assembly and rack assembly areas. In addition we have a further 4,000sqft of office space used for engineering design and testing. Our workshop carries a large stock of materials to allow rapid turnaround of panel build projects. With repeat business and customer satisfaction the greatest measure of our success, we are proud to have a varied and loyal customer base who regularly return to us for new projects.